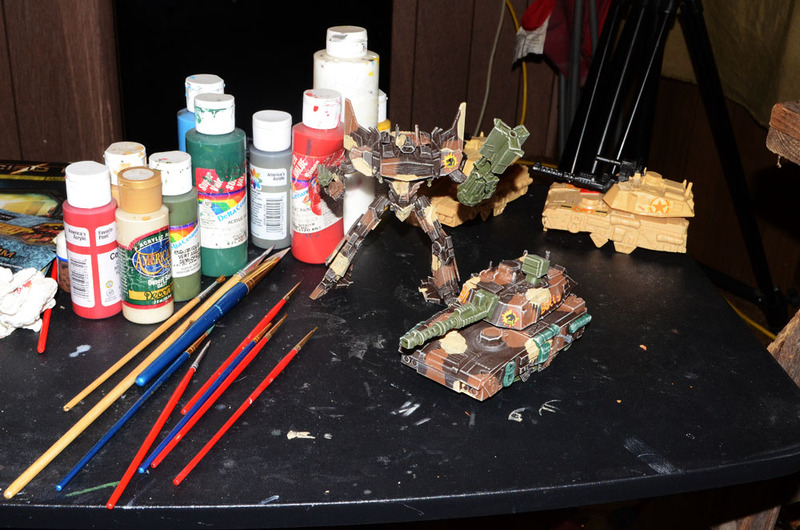 Nate Miller's Tabletop Games: Painting progress on Hover Tanks and Mech! I've got the new hover tank for my Hell Knights mostly painted and I've also been painting a mech made from a Transformers toy. All I have is a wash and some weathering and these will be ready for the table. I have two more of the tanks I've started working on as well.